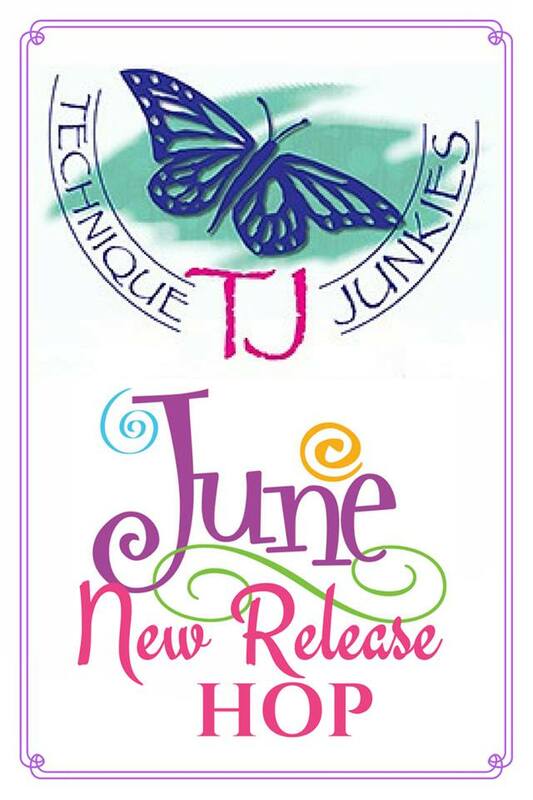 Believe: Technique Junkies June Release Blog Hop!!! Today I am showcasing 5 new stamps, let me show them to you. This project uses "Mermaid on Rock" and the sentiment "Wild Sea Air" I love this mermaid image, it's just perfect for the coming up Summer. Details about this card. I stamped the image on White Premium Cardstock and colored it with Spectrum Noir Illustrator Markers. I masked the image and created a template using a circle and waves, for the sun I sponged yellow ink and for the waves I used light blue and blue inks. I created a window frame using square dies and Coastal Pearl Shimmering Cardstock, added it to card base with foam tape. Stamped the sentiment in Light blue ink. Finally I added sea shell embellishments and cheese cloth underneath. Here it's a front view of the card. This project uses "Fireworks" and the sentiment "Like Fireworks"
For this project I stamped the "Fireworks" image on a piece of watercolor paper in Versamark Watermark Ink and White embossing powder., then applied Stormy Sky, Broken China, Faded Jeans and Mustard Seed Distress Inks, after that I added Spectrum Noir Sparkle (gold and blue) to the firework centers and lines. Then, I stamped the sentiment on a piece of gold vellum in JetBlack Stazon Ink and cut it in half, positioning half on the front and the other half inside. I added stitches around the panels. This card uses "Nautical Background"
For this project I stamped the background image on a piece of white cardstock in Blue Ink, then added clear embossing powder and sponged Broken China Ink on the image, misted the image with Silver and Gold Mists. 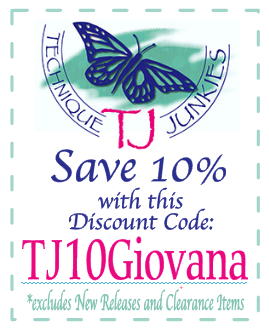 Added blue cardstock a white and red patterned paper under the image. Embellished the card with blue paper flowers and twine and ribbon. Giovana, you cards are stunning. Your mermaid card is very unique. I like the sun/moon you incorporated. Loving how you coloured your fireworks. Your mermaid is so beautiful! Really classy cards Giovana. I love how you cut apart the Fireworks stamp and made it a unexpected color. The nautical card is a study in elegance. So nice to have you on the team! Giovanna, these cards are so beautiful. Your coloring and added elements are awesome. Thanks for sharing.